Dow Chemical Operates over 4,000 miles of cross-country pipelines along the United States Gulf Coast. 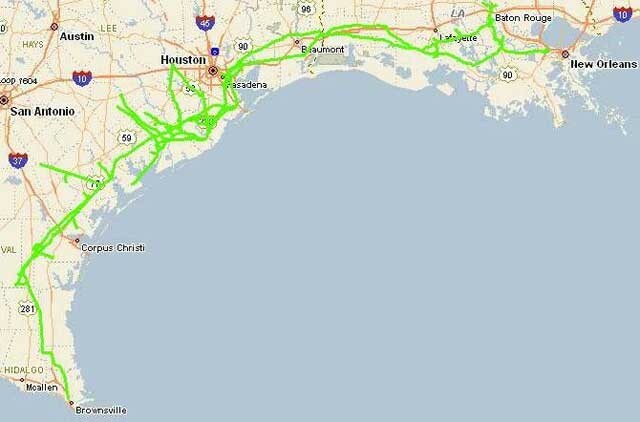 The pipeline systems stretch from Brownsville, Texas to New Orleans, Louisiana. The entire pipeline system is operated from the Control Center in Houston. The current SCADA System was developed over the past 10 years and requires to be upgraded to a single design and maintenance platform. TRC, under the guidance of Dow¡¯s project management team will implement a completely new Pipeline Control and Management system, based on the Wonderware System Platform (ArchestrA), including upgrading all field interfaces. The project is slated for commissioning by the end of 2014.